In the second half of the last century, artists began to go beyond the borders of the edge of paintings and ultimately beyond the borders of galleries themselves. The meaning and function of gallery spaces were analyzed. 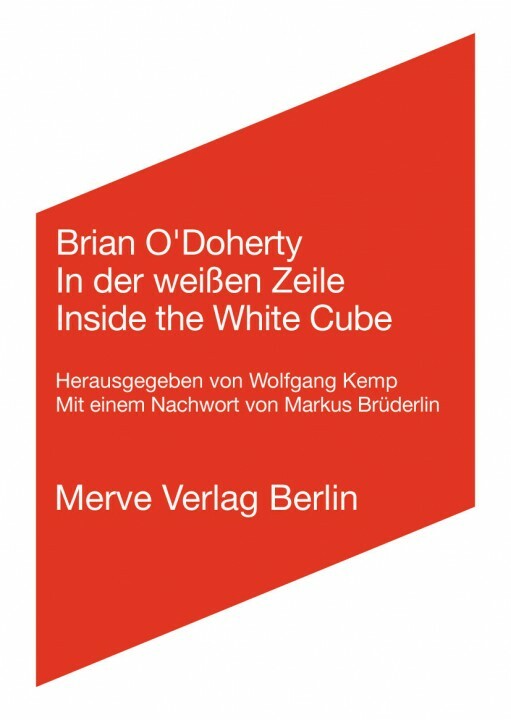 In 1976, Brian O’Doherty’s essay “Inside the White Cube” was published, “a brilliant analysis of the sociological, economic and aesthetic context in which we experience art” (Barbara Rose). This text became a standard work for reflecting on art presentation. Today, the “white cube” is a standard term in the vocabulary of contemporary art. In 1996 the German translation of this book was published by the Merve Verlag Berlin. On the title page of this Merve edition Fritz Balthaus manipulated the “l” so that it read “i”. The “weiße Zelle” (white cube) became the “weiße Zeile” (white sentence). The white sentence idea associates white book pages. They can be considered the white walls of the book space. 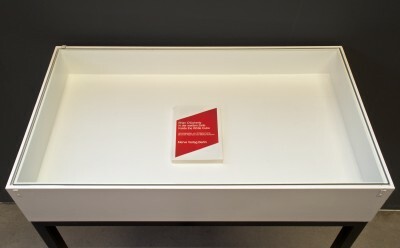 With this artistically altered omen the reader can apply O’Doherty’s critical argumentation to his own text and imagine a “white book”… because, when one places a word in a white book space, a similar new interpretation takes place as it does with an exhibited object in a white cube. Under close examination one can also see that a number of the edition’s illustrations are upside-down or on their sides. These illustrations, as well as a bizarre newspaper legend and an inadequate museum presentation are newly interpreted within this context. The manipulated Merve books are published as an exhibition edition.